Our Sisterhood has long been recognized as an accomplished group of women, intrinsically involved in key aspects of synagogue life. Diverse membership of unique women, ranging in age from twenty something to Chai Lighters, some of us with children, and others not! Ladies Who Lunch, Book Club, Break the Fast, Hamantaschen Baking, Sisterhood Shabbat, Mah Jongg, Torah Study Group, Girls Night Out, Knit Night, and much more! You can invite your friends – did you know that you don’t need to be a Beth Torah member to join Sisterhood? By joining or renewing your membership today, you will benefit from a time-limited preferred rate. A reminder that new Beth Torah members enjoy their first year of membership completely free of charge! 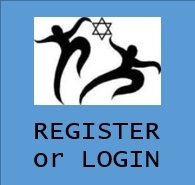 Please complete the registration form for your annual membership. If you have any questions or prefer a paper membership form, please contact Stephanie Elad, our Membership VP. There is a home for everyone within Beth Torah Sisterhood and we hope we can count on you to join us this year. We invite you to get involved and make a difference! !